Developer & designer with a passion for changing the way the world uses technology. Anish Dhesikan is a Computer Science and Game Design Honors Student at Northeastern University graduating in Spring 2018. Anish is a driven developer and designer with strong business acumen. He co-founded two startups, Coresights and Subconscious, leading their technology teams. At Coresights, Anish built a first-of-its-kind virtual reality healthcare platform with custom immersive content that dynamically changes based on individual user biometrics. Coresights was incubated at Play Labs, MIT’s first accelerator program for VR/AR/AI companies. The Coresights product is currently being used in studies at Mount Sinai and George Washington Medical School. Subconscious is a first-person puzzle game that has been approved by the Greenlight community for sale on Steam. At Subconscious, Anish has served as the Lead Programmer and Lead Designer. With a passion for emerging technologies, Anish built his first augmented reality app in high school and continued to develop his skills throughout college, participating in numerous hackathons. Anish and his team won the Grand Prize at the 2016 MIT Reality Virtually Hackathon, the world’s largest hackathon for immersive technology. KidCity VR received recognition and support from HTC and Samsung Innovation. Anish and his team also won 1st Place Merge Hack at the 2017 MIT Reality Virtually Hackathon for Kolideo, an augmented reality tool for teachers to create educational puzzles that run realtime analytics on learners. Anish and his team won Best Health Hack at PennApps (the largest college hackathon) for Pharma, a mobile app that tracks prescription usage and reminds users to reorder using the Amazon Echo. Anish and his team also won the grand prize at the Discover Payments hackathon for HoloPay, a mixed reality retail platform built for the Microsoft HoloLens. Anish and his team continued to build out HoloPay and were selected for a Microsoft SH//FT Spotlight, which included a video feature and national campaign on the app. 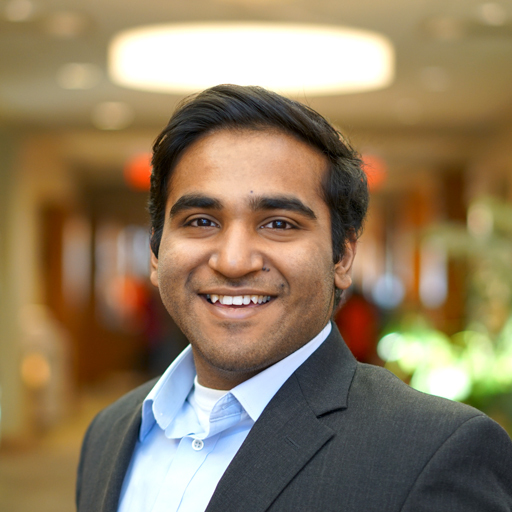 Throughout college, Anish has also co-created numerous applications and platforms including CareerDay VR (a social VR educational platform to expose students to careers and mentors), Luccia (a VR distance-learning platform incubated in the Harvard iLab that raised 300K from VCs) and Hubbubb (a career platform for creative professionals incubated in the Harvard iLab).